Over the course of several decades of writing and lecturing about New York architecture, I’ve probably had occasion to use the phrase ¨Beaux-Arts¨ hundreds – if not thousands – of times. So what a thrill to be here in Paris, walking down the Rue Bonaparte, and suddenly spot two very familiar sculpted portrait busts over a gateway leading into a large courtyard. 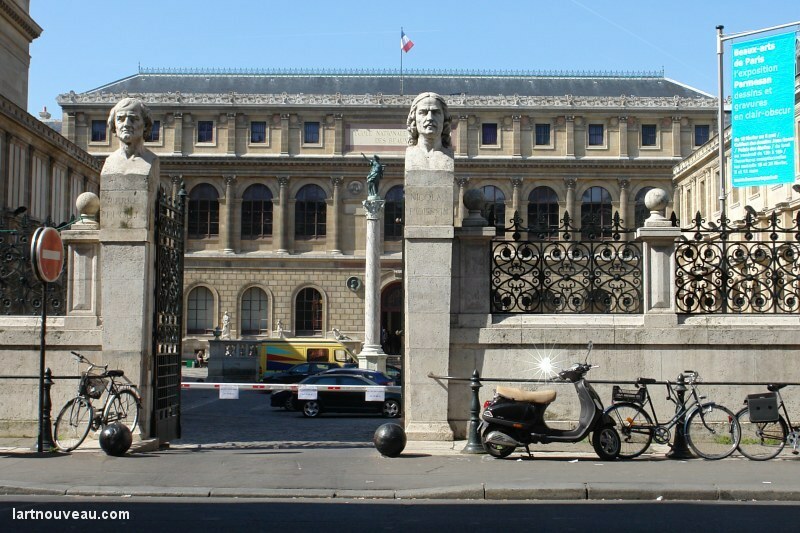 Yes indeed, this is the École des Beaux-Arts – the school where hundreds of American architects studied in a tradition stretching back to the Renaissance. Richard Morris Hunt came in the 1850s, followed by Charles McKim, Whitney Warren, and on and on. It’s impossible to imagine New York without the enormous contribution of the École. Warren studied here from 1884 to 1894, coming back during the First World War to aid the families of École students sent to the front. With the education he brought back to New York from Paris, he created the Beaux-Arts design of Grand Central Terminal, whose centennial we celebrate this year. And he brought the talents of French artists – Jules-Félix Coutan for the enormous statuary group above the Tiffany clock at 42nd Street and Park Avenue, Sylvain Salières for ornamental sculpture throughout the Terminal, and Paul-César Helleu to sketch out the zodiac ceiling of the main concourse. Architecture is no longer taught in this complex, but it remains full of lively art students – working on sculptures indoors, practicing avant-garde theater outside in the June sunshine. All told, wonderful to see!